The Coming-of-Age ceremony of this year also perfectly ended. 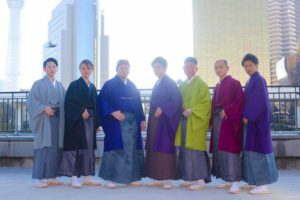 to rent the most fancy type of Furisode to celebrate they turned 20 years old as usual. But there was a little bit different from the past years. 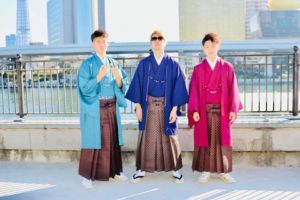 The numbers of Japanese boys coming to wear Hakama were more than girls! but nowadays more and more boys choose traditional Hakama instead. Maybe they are aware of the importance of traditional Japanese clothes. HANAKA is near the train station. The transportation is not only convenient, and the service is also quick and perfect. 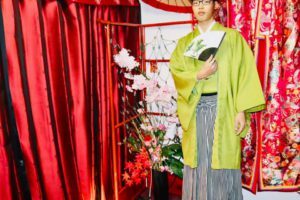 and celebrate the Coming-of-Age ceremony with Furisode and Hakama!